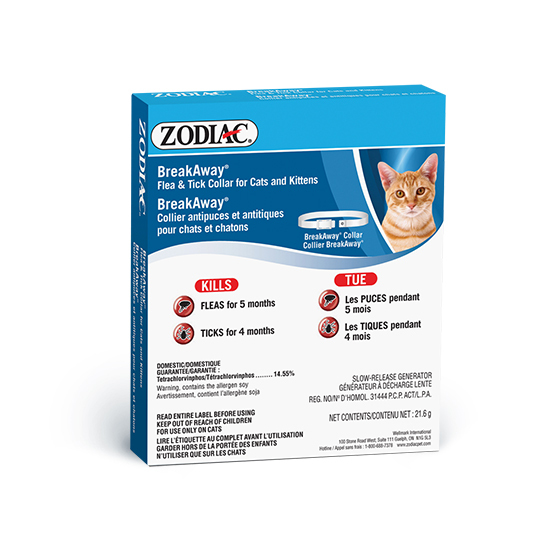 Zodiac® Flea & Tick Cat Collars offer excellent protection against adult fleas and ticks and provide long term continuing protection. We recommend using a Zodiac® Flea & Tick Collar if your pet is frequently bathed. Collars continually release a new supply of ingredients for several months, replenishing the coat even if your pet gets wet or is bathed. Under conditions where pets are exposed to severe flea or tick infestations, it may be necessary to replace the collar more frequently. Replace this collar no more than once every 4 months.